At the end of six days, Vivegam collected Rs 7.5 crore in Chennai. It is now the second highest grossing film of Chennai. 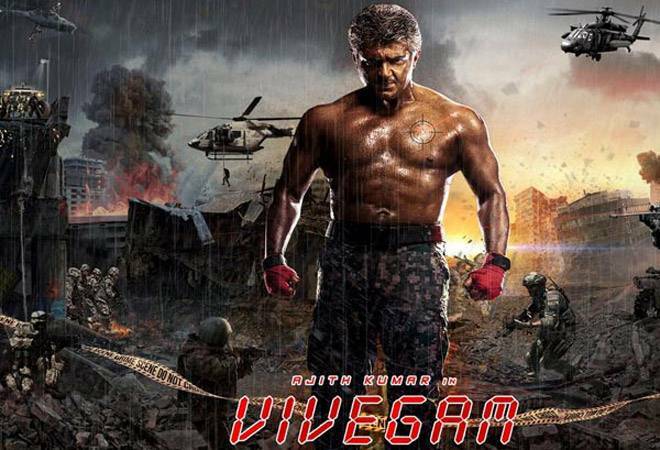 Ajith's spy thriller Vivegam , which has entered the Rs 100 crore club worldwide in four days, has emerged as the highest opening weekend grosser of the year in Chennai. In Chennai alone, It had minted Rs 5.75 crore over four days, surpassing Baahubali 2's Rs 3.24 crore collection. On its opening day, the movie collected Rs 1.22 crore. The film made history by becoming the all-time highest opening film in Chennai. Ajith's Vivegam is also doing wonders overseas. It is refreshing to see how South Indian films have successfully managed to break the dry spell at the box office whereas some of the big budget Bollywood films such as Tubelight, Jab Harry Met Sejal, Jagga Jasoos have failed to do so. All of these films failed despite having a stellar star cast. On the other hand, South Indian movies like Vivegam, Arjun Reddy are going strong at the box office. These movies, including Baahubali, have become the trend setter for the Indian film industry. The movie is directed by Sivakumar Jayakumar. They have previously worked together in Veeram and Vedhalam. The movie is made on a budget of Rs 100 crore. Vivegam, that tracks the life story of an intelligence officer played by Ajith Kumar. The movie also features Vivek Oberoi and Akshara Hassan, apart from Kajal Aggarwal, who plays Ajith's wife. This movie marks Vivek Oberoi's debut is the Tamil film industry.